The Saber EZ Stainless Griddle adds more cooking surface and varied capabilities to your grilling station. The griddle is made with heavy duty 14-gauge stainless steel. It has supportive bracing to prevent flexing, so that it is sturdy enough to support just about anything you would like to sizzle on it. 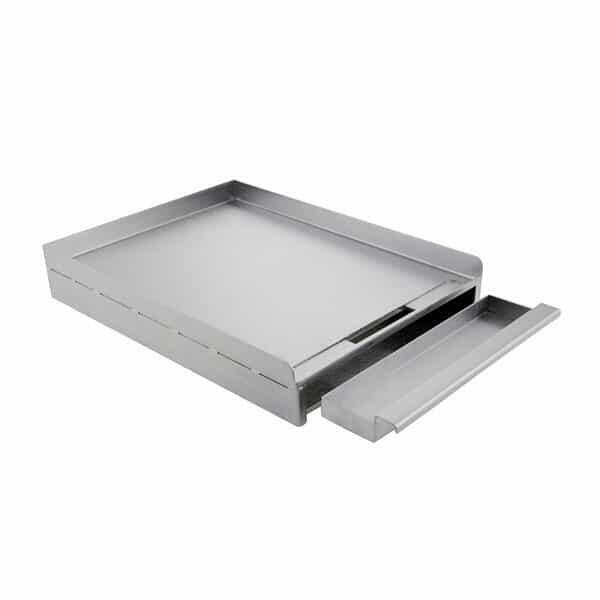 It has a convenient removable grease tray to service the 199 square inches of cooking surface. That’s a lot of hamburgers!